Irish Chimney Specialists are available for all types of chimney repair. 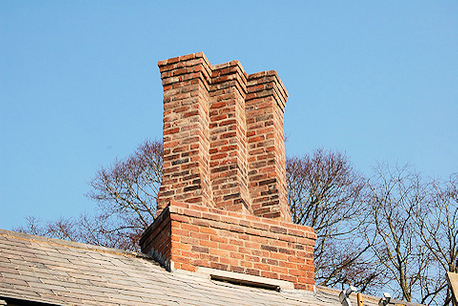 Our dedicated team of skilled tradesmen can repair all issues – interior and exterior – related to chimneys. A chimney’s brick work and plastering is prone to cracking over time. As the chimney repair specialists, Irish Chimney Specialists is ideally suited to repair old or damaged chimneys. Our thorough inspection service quickly and efficiently identifies problems and repairs them in a swift and professional manner. Our tradesmen are equipped to carry-out chimney stack repairs. After a chimney fire we make every effort possible to match the brickwork of your newly rebuilt chimney to the brickwork of your property; our tradesmen appreciate the importance of retaining the exterior aesthetic of your property. We are also able to carry out chimney cap repair. Are there cracks in your chimney? Then get in contact with Irish Chimney Specialists – the chimney repair experts – today. In the event of extensive damage after a chimney fire, Irish Chimney Specialists are available for a safe and effective chimney demolition. Our experienced tradesmen can safely deconstruct your damaged chimney without causing any further damage to your roof or slate work. After demolition, we can completely rebuild your chimney. We make every effort possible to make sure your new chimney matches the aesthetic of your property. We have extensive experience with Victorian era buildings. Our team of tradesmen can upgrade clay chimney relinings to the more efficient stainless steel chimney liner. We also take care of all brickwork and plastering during your chimney rebuild. Do you need a fire damaged chimney safely demolished? Then get in contact with Irish Chimney Specialists today.